Alice Garrett was The Girl Most Likely To:- well, not date her little brother’s baggage-burdened best friend, for starters. I received this novel from NetGalley and Egmont Publishing in return for an honest review. Warning, this review will have spoilers!! This novel was a big, big disappointment. This was a DNF at around 27%. This novel is a companion novel to My Life Next Door which I read at the end of May. 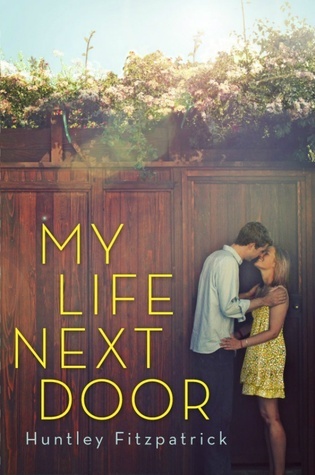 I loved My Life Next Door and I was really excited about picking up this novel. I waited until now as it is only being published in the UK today (9th June) even though its been out for about 10 months in the US. This novel was such a let down I don't even really know where to start. One thing I really enjoyed about MLND was the voices, Jase and Sam were interesting and unique to read about, but they were also realistic, and although the story felt a little contrived at times, it was still within the realms of reality. 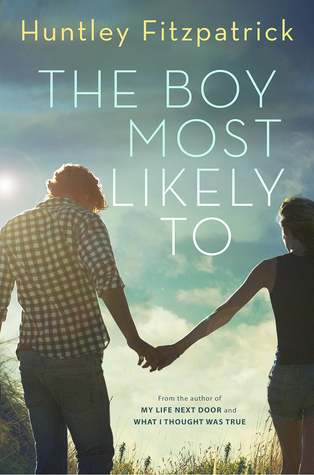 The voices in this novel, Tim and Alice didn't feel real at all, neither of their voices read like teenagers. Tim seemed like a mix between an ageing alcoholic who lives by himself and spends all day sitting around in his pants eating pizza, and a whiny complaining child. Alice wasn't much better, we don't get to know much about her, she seemed like a stressed and grumpy 19 year old who has a lot of boyfriends (idk?). Their voices were almost identical too, there wasn't even much difference between the male and female POVs and for a large part of the time I couldn't even tell who was talking until I was given some context later in the paragraph. The plot in this novel was ridiculous. Bear in mind that I only read 27% which is a little over 100 pages, and the plot already felt so exaggerated and unrealistic that I had to stop reading. It also felt a little cliched, and I just couldn't deal with it. The whole situation with Nan was still there, which felt as silly as it did in MLND, but to add in a baby!? I mean come on, would anybody just accept that it's your baby if someone says so. Surely the first thing you do is a paternity test to find out for sure if you're the father!? But not Tim, he just looks at the baby, says "hmmmm it looks like me, I'm ginger and so is he, so it must be mine!" How ridiculous!! I only read up until Alice returns from the date Tim missed and asks him if he's ok. As soon as he decided not to bother telling her about his new found fatherhood I decided that that was enough. I can't deal with novels where everything would be better/solved if characters just spoke to each other and I could tell that was where this one was going. No thank you! I did enjoy hearing more about the Garrets, they were still a good element of the novel, although I got a bit irritated with Mr and Mrs Garret for leaving everything for Alice to do, she's only 19, and there's a lot of kids to deal with for one girl. I also still found Tim to be quite amusing at times, he was sarcastic, and this I enjoyed. But he also really irritated me, for example his going to the Garrets and eating their food, just helping himself without a care in the world. There are loads of people in that family, and they're obviously struggling for money and he's literally eating it up!! That seemed a selfish and unthinking thing for Tim to repeatedly do, and that put me off him quite a lot. I did enjoy the occasional glimpses of Jase and Sam, it reminded me of how much I enjoyed reading about them in MLND, I wish this novel has just been a continuation of their story instead. I also struggled with the layout of this novel, perhaps because it was an ARC, but there was no separation between the two POVs, sometimes not even a paragraph break so it was almost impossible to see when a different character was talking, and it was very irritating when reading! I don't enjoy a novel where the POV changes in the middle of a chapter, I find this rather confusing and grating while I'm reading, but this is more personal preference than anything else. Overall I gave this novel 2/5 stars, and I was disappointed with what I read. I had such high hopes by the story that Fitzpatrick told in MLND, but this novel just didn't live up to the hype. My thanks to Net Galley and Egmont Publishing for the copy of this novel.